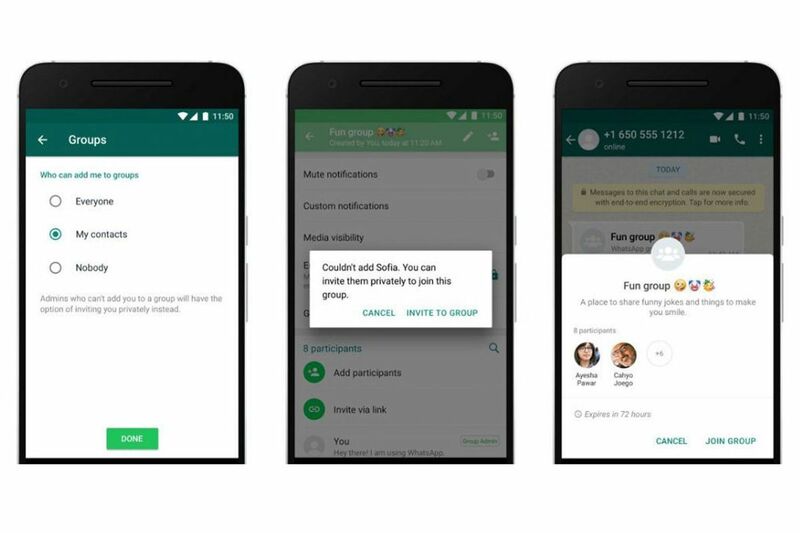 WhatsApp is introducing new controls that let you limit who can add you to group messages. VentureBeat notes that the app now lets you stop people from adding you to groups if they’re not a contact in your address book. Alternatively, you can prevent anyone at all from being able to add you, or else leave the option open to all. The feature is one part of a host of changes the service is making to try and stop misinformation from easily spreading. The BBC reported that ahead of Brazil’s elections last year political campaigners were using software to automatically add swaths of people to politically motivated WhatsApp groups without their consent. Time reports that similar practices are widespread in India. WhatsApp has already limited the amount of times a message can be forwarded to five, and also now labels forwarded messages to draw attention to them. Yesterday, the service launched a new fact-checking service in India which users can use to verify the truthfulness of any messages they’ve been sent. Users that restrict who can add them to groups can still be added by private invitation. They’ll receive a link, which gives basic information about the group they’ve been invited to, and can choose to join it if they want to. Otherwise the link expires in 72 hours. Previously a WhatsApp support page noted that the only way to prevent being added to a group was to block the group’s admin. The new settings can be accessed by heading to Account options within the settings menu. Select Privacy, then Groups, and you’ll be able to select who exactly can add you to a group. This gives you three options, Nobody, My Contacts, or Everyone. WhatsApp’s new group controls are launching today, and will be rolling out to all users in the coming weeks.